The Taung Child fossil, discovered in 1924, consists of most of the skull, face, and mandible with teeth. It also has a natural endocast (imprint) of the braincase. It is about 2.5 million years old. 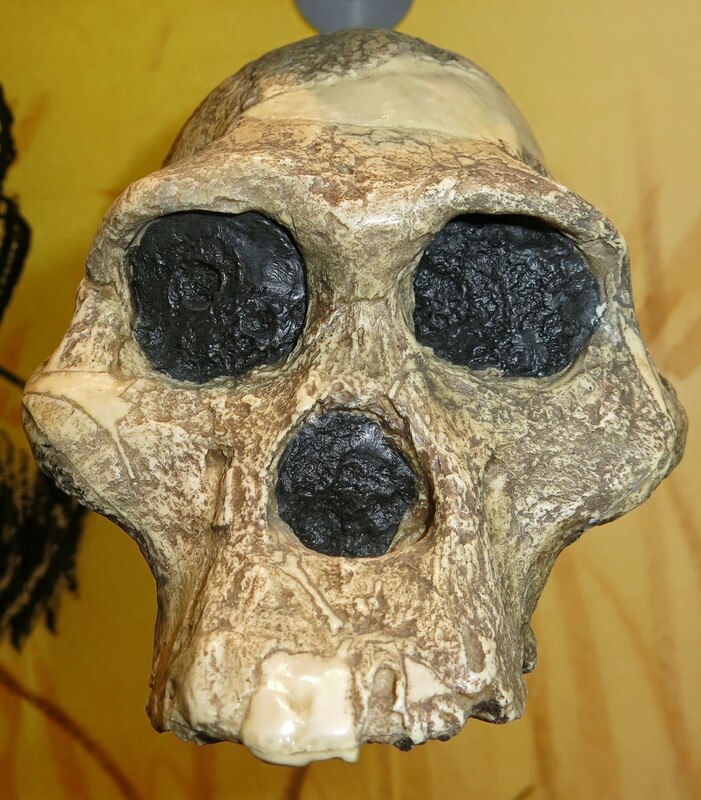 The Taung Child is believed to have been about three years old at the time of its death. 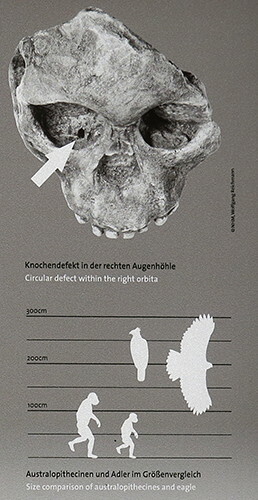 It was a creature standing 3' 6" (105 cm) weighing 20-24 pounds. The Taung Child had a cranial capacity of 340 cm3, living mainly in a savanna habitat. 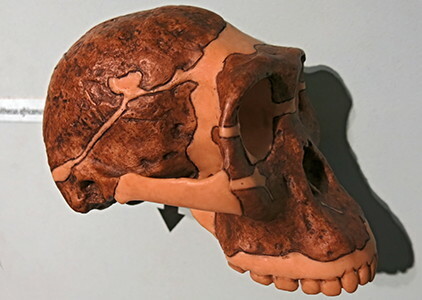 Examinations of the Taung Child compared to that of an equivalent 9-year-old child suggest that Australopithecus africanus had a growth rate to adolescence which is about the same as that found in modern apes like chimpanzees rather than that of modern Homo sapiens. 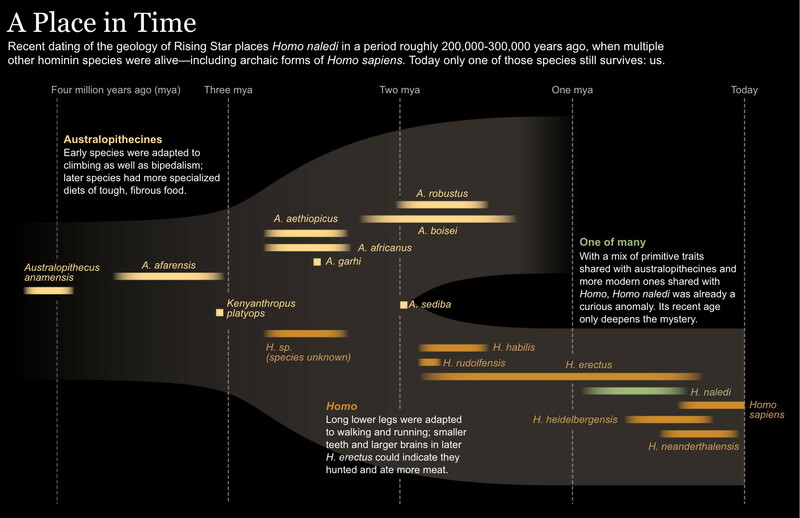 However, later species such as Homo ergaster/Homo erectus went through growth at rates between modern humans and apes. The evidence has mostly been based on that of Turkana boy discovered in 1984. In early 2006 it was announced that the Taung Child was likely killed by an eagle (or similar large predatory bird). This conclusion was reached by noting similarities in the damage to the skull and eye sockets of the Taung Child to the skulls of primates known to have been killed by modern eagles. 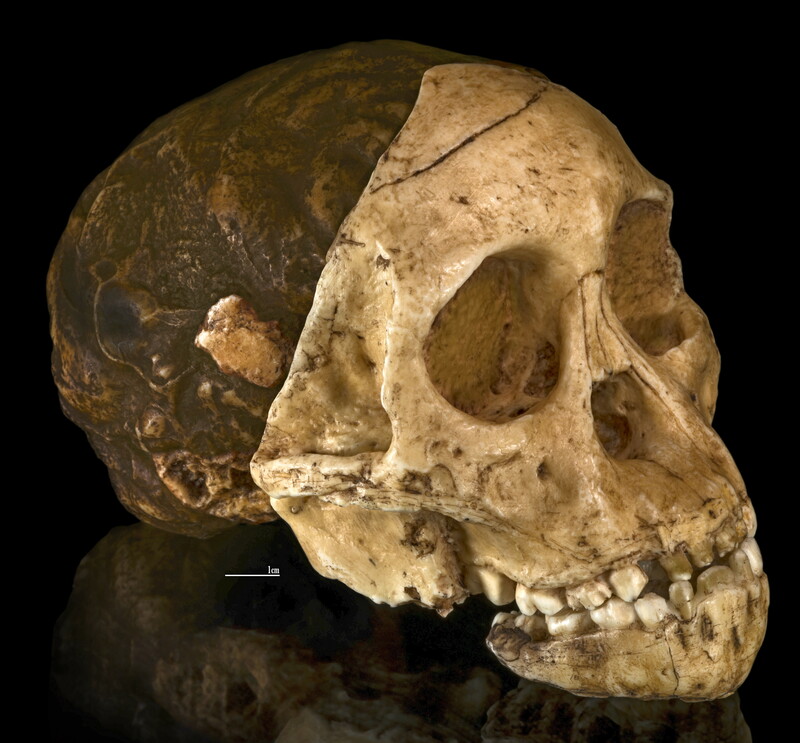 The left hand side of the endocast of the Taung child is covered in beautiful calcium carbonate crystals. Circa 2 800 000 BP - 2 600 000 BP. 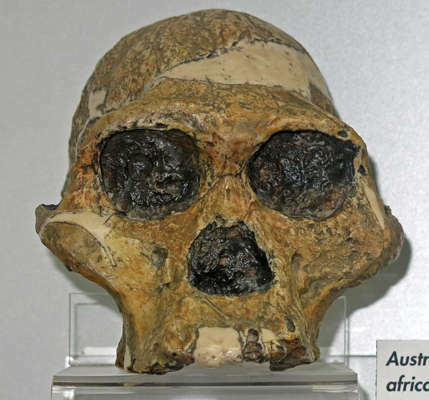 Cranial fragments and endocast, TAUNG 1, South Africa. Cast in three parts: endocranium, face, and mandible of a 2 100 000 year old Australopithecus africanus specimen, the Taung child. Permission: Creative Commons Attribution-Share Alike 4.0 International license, not permitted to be uploaded to Facebook. Source: Collection of the University of the Witwatersrand (Evolutionary Studies Institute), Johannesburg, South Africa. 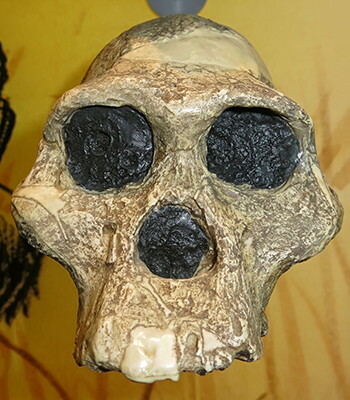 Sterkfontein cave, hominid fossil. 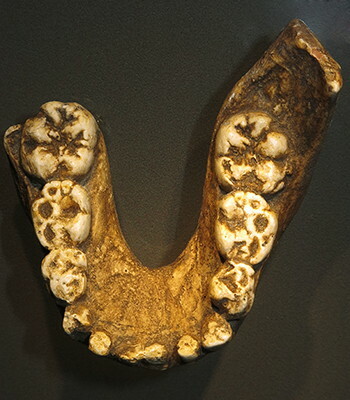 Australopithecus africanus, Taung child mandible. Australopithecus africanus, Taung child mandible, first permanent molar. 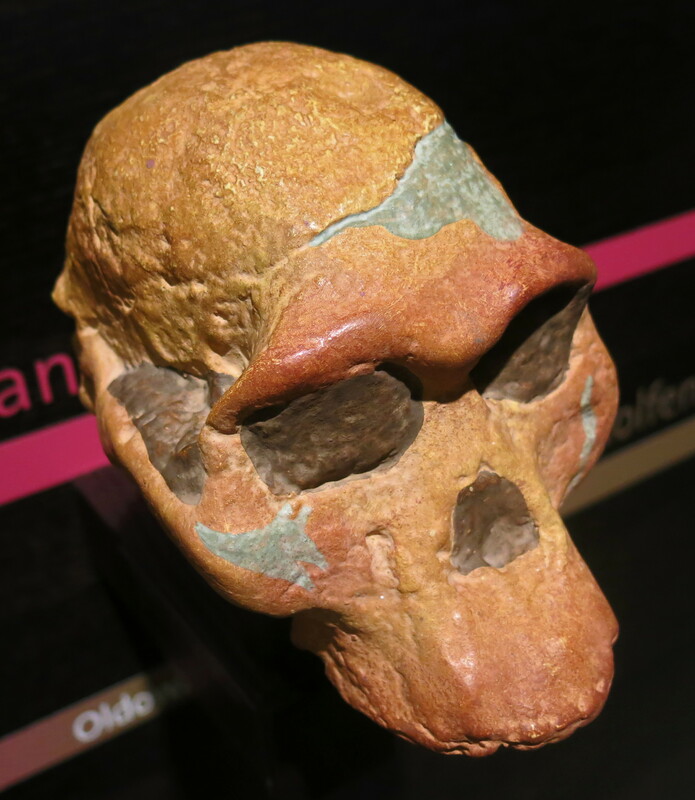 The discovery of the Taung child caused a sensation. 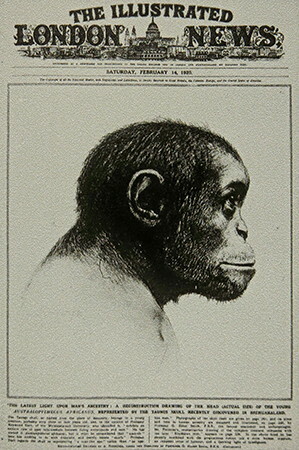 This is the cover of the Illustrated London News for 14th February 1925. Eighty years after the 'Taung child' was first described, a spectacular theory was postulated on the cause of the individual's death. Details of the way modern-day eagles hunt smaller monkeys helped to identify the lesions on the child's facial skull as traces of an attack by birds of prey. 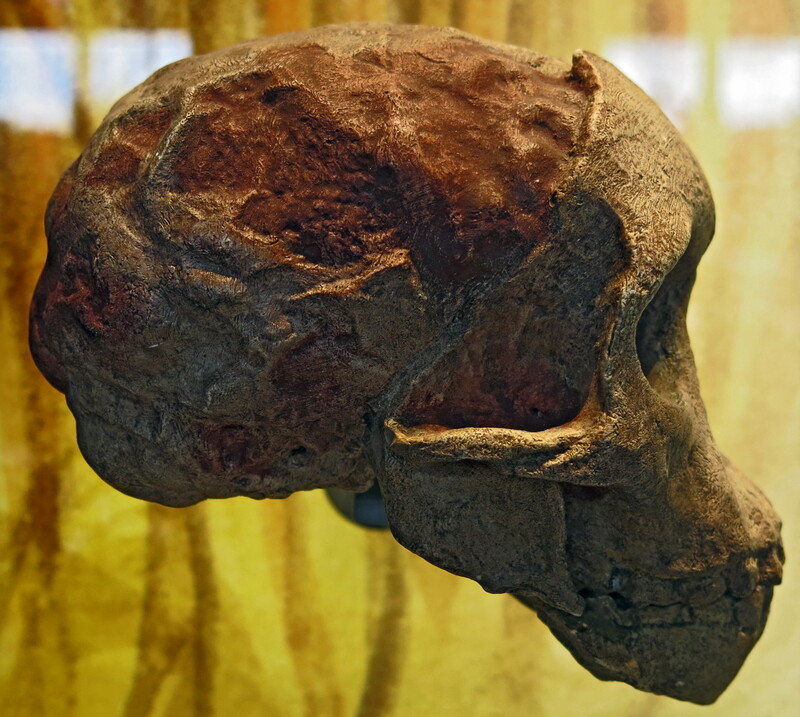 The original complete skull (without upper teeth and mandible) of a 2.1 million years old specimen so-called 'Mrs. 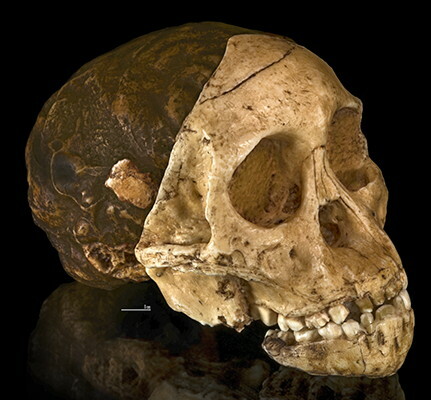 Ples' (catalogue number STS 5, Sterkfontein cave, hominid fossil number 5), discovered in South Africa . 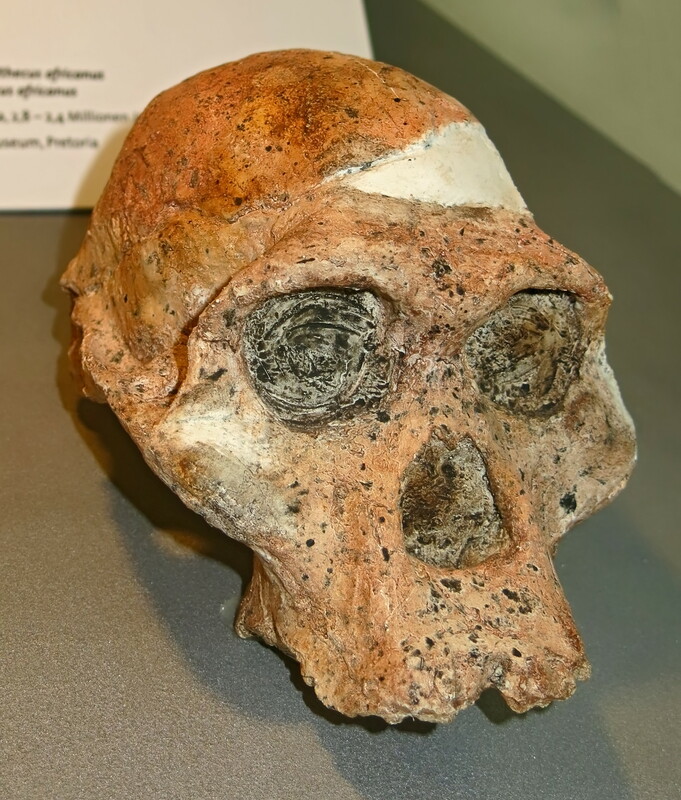 On April 18, 1947, Broom and John T. Robinson discovered a skull belonging to a middle-aged female, (catalogue number STS 5), while blasting at Sterkfontein. Broom classified it also as Plesianthropus transvaalensis, and it was dubbed Mrs. Ples by Broom's young coworkers (though the skull is now thought to have belonged to a young male). The lack of facial projection in comparison to apes was noted by Raymond Dart (including from Taung Child), a trait in common with more advanced hominins. Collection of the Transvaal Museum, Northern Flagship Institute, Pretoria, South Africa.